Erbil, Kurdistan Region, Iraq (cabinet.gov.krd) – The Kurdistan Regional Government signed an agreement with the multinational professional services firm, Ernst and Young, to audit oil and gas processes in the Kurdistan Region. During the signing ceremony on Wednesday, Prime Minister Nechirvan Barzani described the agreement as an important step by the Kurdistan Regional Government to be more transparent in the oil and gas revenues and expenditures. He said that the agreement will further strengthen the transparent and independent auditing process for oil and gas sector. He added that transparency in the sector is his government’s top priority. This is the second oil-audit agreement that the KRG has signed with major international auditing firms. Earlier this year, the KRG signed a similar deal with Deloitte. Senior government officials and the Head of British Consulate-General in the Kurdistan Region participated in the signing ceremony, which took place at the Council of Ministers in Erbil. Erbil, Kurdistan Region, Iraq (cabinet.gov.krd) – Kurdistan Regional Government Prime Minister Nechirvan Barzani received UN Assistant Secretary General for Political Affairs, Miroslav Jinka and Special Representative of the UN Secretary General in Iraq, Jan Kubiš and their accompanied delegation. Mr. Jinka stressed the need to settle all the outstanding issues between Baghdad and Erbil through dialogue, for which he expressed the readiness of the international organisation to help holding talks between the two sides. He commended the level of cooperation and coordination between the Kurdistan Region military forces, the Peshmerga, and the Iraqi army in the war against the Islamic State terrorist group, ISIS. He also praised the Kurdistan regional Government for having accommodated and provided assistance to a large number of refugees and displaced persons, who fled ISIS terrorists and took refuge in the Kurdistan Region. Mr. Jinka expressed his hope for the implementation of a general reconciliation plan between Iraq’s various communities after the return of the displaced persons to their places of origin following the elimination of ISIS. He stressed that such plan would bring peace, stability and security to the region. Prime Minister Barzani said the Kurdistan Region has become a safe haven for displaced persons and refugees, stressing however that due to the severe financial difficulties which it faces, Kurdistan cannot provide the needed humanitarian assistance without the support of the international community. On the relations between Erbil and Baghdad, he pointed out that a noticeable military coordination and cooperation between the two sides have been reached over the past few months, which helped achieving victories in the war against terrorism. He noted, however, that such level of cooperation has not yet been met in other fields, stressing that the Kurdistan Region is ready to hold talks with Baghdad to settle all the issues through mutual understanding. Erbil, Kurdistan Region, Iraq (cabinet.gov.krd) – Kurdistan Region Prime Minister, Nechirvan Barzani, received Jean-Jacques Bridey, member of the French Parliamentary Defence Commission and his accompanying delegation. Mr. Bridey commended the Kurdistan Region Peshmerga forces for its fight against the Islamic State terrorist group, ISIS, and their protection of religious and ethnic communities. Discussing his visit to Peshmerga military training centres, he expressed his satisfaction regarding the level of cooperation between the Peshmerga forces and French military experts. Regarding the plight of the internally displaced people, Mr Bridey expressed his hope that the situation will be settled in a way that would reassure the IDPs to return to their place of origin. He noted that international organisations should help the Kurdistan Regional Government and the Federal Government of Iraq in this process. Prime Minister Barzani expressed his gratitude to France for its continuous support to the Kurdistan Region, recalling that French President, François Hollande’s visit to the Kurdistan Region after ISIS attacks on the Region, was a strong morale message to the Kurdistan people and the Peshmerga. He also thanked the French government for its military assistance, expressing his hope that France will take a step further in its military and humanitarian assistance as Mosul liberation operation is ongoing. Regarding the relations between Baghdad and Erbil, he said that the Kurdistan Regional Government has always been ready to settle all the outstanding issues with Baghdad through mutual understanding. He noted that in regard to the fight against ISIS, there is a constructive cooperation and coordination between the Kurdistan Region and Baghdad which have been crucial in the victories achieved in the battle of Mosul. The two sides also discussed regional political situation, including Prime Minister Barzani’s recent visit to Turkey and talks he held with the Turkish President, Prime Minister and Foreign Minister. Erbil, Kurdistan Region, Iraq (cabinet.gov.krd) – Prime Minister of Kurdistan Regional Government Nechirvan Barzani kicked off a two-week campaign to eliminate violence against women. 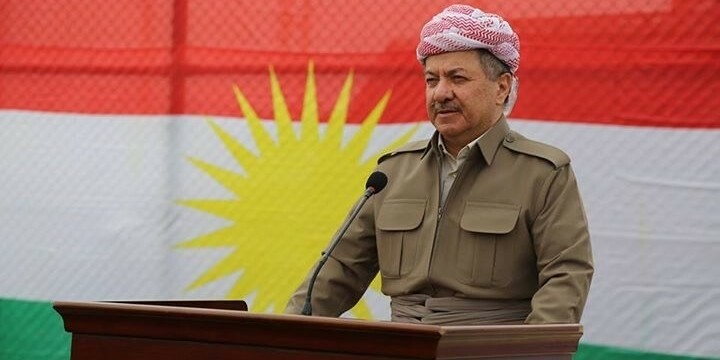 During a speech on Sunday, Prime Minister Barzani said the Kurdistan Regional Government has taken important steps to legally protect women rights, however more awareness campaigns are needed to end the violation of women rights. Below is the transcript of Mr. Barzani’s speech. Good morning. I would like to welcome you to this ceremony on the launch of a two-week campaign to eliminate violence against women. I salute our Peshmerga heroes, who are fighting the largest terrorist organization as I speak, in order to protect peace in the world. I salute the families of our fallen heroes. I wish the Iraqi Army a swift victory in the liberation of the city of Mosul, with minimal causalities. The protection of human rights is a pillar of good governance, which includes the protection of women rights. It is government’s responsibility to protect the rights of all its citizens; however it needs the help of civil society organizations to do so. The laws are important for the protection of human rights, including women rights. However, the laws can’t guarantee the full protection of human rights without proper social awareness. Therefore, I am asking the High Council of Women Affairs of the Council of Ministers, all women rights and civil society organizations to initiate more campaigns for legal and social awareness in our society, especially among women. The Kurdistan Regional Government is committed to the Declaration of the Elimination of Violence Against Women, which was adopted by the General Assembly of the United Nations in 1993 that defines violence against women as any act of gender-based violence that results in, or is likely to result in, physical, sexual or psychological harm or suffering to women, including threats of such acts, coercion or arbitrary deprivation of liberty, whether occurring in public or in private life. Since 2008 and in coordination with the Kurdistan Parliament, the Kurdistan Regional Government has taken important steps to legally protect women rights. Amending Iraqi Personal Status Law in 2008 [No. 188 of 1959] and ratifying Article Eight on Elimination of Domestic Violence in 2011, which outlaws any gender-based violence, are milestones in the protection of women rights. The so called ‘honor killing’ that was overlooked by the Iraqi law and used as an excuse to justify killing women, has been completely banned in Kurdistan, and the crime is considered as intentional homicide. The Kurdistan Region has also banned all forms of forced marriages and female circumcision, restricted polygamy, and reformed inheritance law to guarantee a fair share for females. By revising and introducing these laws, the differences in protection of women rights between the Kurdistan Region and other parts of Iraq have become immense. These laws have enabled the Kurdistan Regional Government to take practical and systematic steps to curb violence against women. The government has established a directorate for combating violence against women, and established shelters for women under threat. It has also established courts and appointed special prosecutors within police stations to investigate cases related to violence against women. These were daring, unprecedented and important steps in our Region. I would like to take this opportunity to thank the late thinker and scholar Mustafa Zalmi, who answered our call and played a major role in reforming the Personal Status Law and ratifying Elimination of Domestic Violence Law. Religious scholars also played a major role in supporting the steps mentioned above in the Kurdistan Region. The statistics of the General Directorate of Combating Violence Against Women indicate that the rate of violence against women in the Kurdistan Region is not steady. In the meantime, fortunately, the same statistics indicate that the cases of murder and self-immolation have decreased compared to the past years. But these figures and data are still not satisfactory. However, we should note that fortunately all the violence committed against women are now documented and registered, contrary to the time when all these acts were unknown. The relevant bodies take legal actions against perpetrators of violent acts. Combating violence against women and domestic violence requires further changes to curriculums in Kurdistan schools and universities. Respecting women and considering violence against women as abnormal phenomenon, should be part of our culture and education, starting from elementary school. Here, I like to say a word about the important role of the religious scholars. Many of them have played a positive role in encouraging members of society to refrain from committing violence against women. However, their work in this domain still has a long way to go, as violence is still committed against women in our society. This is why, I call on all religious scholars to launch awareness on protecting the right of women as a prioritized religious, human and national duty. I also call on the KRG Ministry of Endowment and Religious Affairs and the Union of Islamic Scholars to adopt specific programs on this issue. Through its cruel acts and attacks, the Islamic State group, ISIS, has terrorized the world. But its crimes against the Yezidi Kurdish women were the cruelest ones, which they can never be forgotten. But we did not stand idly by. We immediately launched a massive operation to rescue and protect them. By establishing a special bureau in charge of rescuing our Yezidi Kurdish sisters and mothers, abducted by ISIS, we have made great progress. Since ISIS attack in August of 2014 in the Sinjar area, we have rescued 2,890 Yezidi women, children and men. Only last week our bureau rescued 18 Kurdish Yezidi and Christian women and children in Tel Afar from terrorists. We will continue in our efforts to recue all of them. This collective abduction and massacre has left deep psychological effect on the victims and their families. The Duhok-based Centre for Rehabilitation and Support for rescued women from ISIS terrorists has so far provided psychological and physical treatment to more than 824 Yezidi and Christian women rescued from ISIS captivity. In this regard, the Kurdistan Regional Government needs the support of international specialized organizations. At this annual two-week campaign of combating violence against women, I would like to say that in order to eliminate the effects of war and war crimes on our society, and all other negative effects, we need a continued campaign to eradicate violence in our society. We also need to combat the bases of violence in our thoughts and mentalities. Today as the Peshmerga have become a symbol of protection of freedom in the world, our society must reach the level of applying all the legal principles of freedoms and combat all forms of violence that threaten women in Kurdistan. Violating women’s legal freedoms undermines the progress and stability in Kurdistan’s society. Therefore, we have to be careful and promote awareness and guarantee the implementation of the laws of the KUrdistan Region. I would like to welcome you again and i hope to see a decline and elimination of violence in Kurdistan and across the world. I would also like to thank all organizations who worked with the High Council of Women Affairs to combat violence aganist women. My special thanks goes to special units of Ministry of Interior, who work day and night to protect women rights. And awareness is very important to combat violence against women, as mentioned by German Consul. It is very important to promote social awareness, from schools to mosques. If we have proper awareness, I am sure we will be a leader in combating violence against women in the region. Erbil, Kurdistan Region, Iraq (cabinet.gov.krd) – Kurdistan Region Prime Minister Nechirvan Barzani met with top leaders of Turkey for talks focused on bilateral ties and developments in the region. During the official visit, Prime Minister Barzani met with Turkey’s President Recep Tayyip Erdogan. The two leaders highlighted the need of increased cooperation among different ethnic and religious components in the region in order to end violence and protect stability and security of the region. President Erdogan expressed his country’s readiness to provide assistance to all the relevant sides, and stressed the need of cooperation between Turkey and Iraq. Both leaders discussed the war against the so-called Islamic State terrorist organization and other regional issues. Prime Minister Barzani also met with his counterpart Binali Yildirim, who reaffirmed that his government is ready to further strengthen security, economic and political coordination with the Kurdistan Region, as the region is expected to face an increased economic activities after the liberation of Mosul from ISIS control. The Turkish leader also expressed his support for the improved relations between the Kurdistan Regional Government and the federal government of Iraq. For his part, the Kurdish leader said he’s hopeful to see progress in Iraq-Turkey relations, stating that Baghdad is willing to normalize its relations with Ankara. Prime Minister Barzani also held a meeting with Mevlut Cavusoglu, Minister of Foreign Affairs. Increased bilateral ties, the war against ISIS terror, stability of the region and other pressing issues were discussed during the meeting. Erbil, Kurdistan Region, Iraq (cabinet.gov.krd) – Kurdistan Region Prime Minister, Nechirvan Barzani received a French Senate delegation, led by Senator Bernard Cazeau. The visiting delegation commended the role of the Kurdistan Region military forces, the Peshmerga, in the fight against the Islamic State terrorist group, ISIS, and the protection of all the population, including various religious and ethnic communities, who fled ISIS repression and took refuge in Kurdistan. The delegation also expressed satisfaction regarding the recent attempts exerted to resolve the outstanding issues between the Kurdistan Regional Government and the Federal Government of Iraq through dialogue and mutual understanding. The members of the delegation expressed their support to solve the Kurdish issue in the Middle East peacefully and through democratic means. Prime Minister Barzani expressed his gratitude to France for its support to the Kurdistan Region, especially in the military and humanitarian fields. He noted that French President, François Hollande’s visit to the Kurdistan Region immediately after the start of ISIS attacks on the Region, was a strong message to the Kurdistan people and the Peshmerga. Prime Minister Barzani said that Kurdistan Peshmerga Forces’ fight against ISIS has also been a fight to defend universal values and liberties. He stressed that as this terrorist group stands against the world and threatens its security, it must be ultimately eliminated and uprooted. Regarding the ongoing military operation to liberate the city of Mosul from ISIS, Prime Minister Barzani highlighted the importance of having a post liberation joint planthat would lead to the disappearance of ISIS ideology in Iraq. He also noted that Erbil has always been ready to resolve outstanding issues with Baghdad through mutual understanding, stressing that in future the talks will be intensified on how to strengthen security and stability in the region, in which the interests of the Kurdish people are preserved. The two sides also discussed other regional political developments. 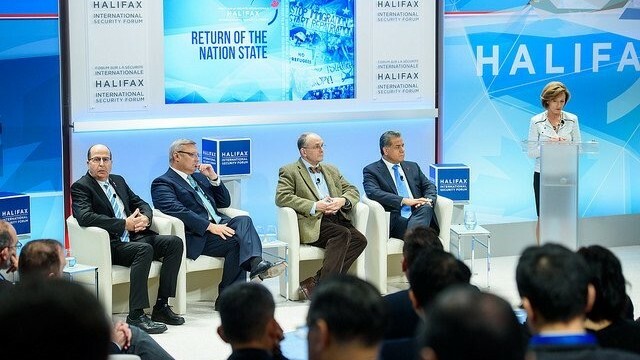 Halifax, Canada (dfr.gov.krd) – The Kurdistan Regional Government (KRG) Foreign Minister Falah Mustafa Bakir and the KRG Representative to the United States Bayan Sami Abdul Rahman traveled to Canada to speak at the Halifax Security Forum. The annual conference was hosted by Canada’s Defense Minister Harjit Sajjan and brought together more than 300 government officials, military leaders, experts, academics and journalists from around 70 countries. In his opening remarks, Minister Sajjan highlighted the role of Kurdistan’s Peshmerga forces in the fight against the terrorists of ISIS. Included among the speakers at the Forum were Croatian President Kolina Grabar-Kitarović, Ukranian Deputy Prime Minister Ivanna Klympush-Tsintsadze, Secretary of Defense from the United Kingdom Michael Fallon, France’s Minister of Defense Jean-Yves Le Drian, Estonian Defense Minister Hannes Hanso, Turkey’s Minister for European Union Affairs Ömer Çelik and General Secretary of the BJP (India’s governing party) Ram Madhav. Representative Abdul Rahman also spoke at an off-the-record session about the role of women in the military. A number of senior military leaders also delivered remarks, including Canada’s Chief of Defense Staff General Jonathan Vance, Admiral Michael Rogers, Director of the U.S. National Security Agency and Cyber Command and Admiral Harry Harris, Commander of the United States Pacific Command. Chiefs of Defense include Stuart Peach, from the United Kingdom, Ricardo Visayaof the Philippines, Haakon Bruun-Hanssen of Norway, Antony Anderson of Jamaica and Thomas A. Middendorp of the Netherlands. During the Forum, Minister Bakir and Representative Abdul Rahman met on the sidelines of the Forum with Canadian Defense Minister Harjit Sajjan. Croatian President Kolina Grabar-Kitarović, and Canada’s Chief of Defense Staff General Jonathan Vance, as well as other leaders and journalists. President Masoud Barzani visited the town of Bashike which was recently liberated by the Peshmerga forces from the control of the terrorists of the Islamic State. The ceremony was attended by a number of Yezidi, Christian, Arab and other ethnic and religious community leaders. President Barzani began his remarks by warmly congratulating the Peshmerga forces for their hard work which recently led to the liberation of the town of Bashike. The President also noted the importance of a place like Bashike and how the town is a mosaic of ethnic and religiius communities, stating that it is here where church bells ring simultaneously with the Muslim adhan to prayer and where Yezidis attend their houses of worship. The terrorists of the Islamic State attempted to cease that co-existence from continuing, but miserably failed, the President said. He also spoke of the importance of Mosul and how its liberation is of enormous importance to the security of the Kurdistan Region as a whole. President Barzani made reference to the agreement between the Federal Government in Baghdad, the Kurdistan Region and the Coalition and how the Peshmerga forces of the Kurdistan Region are fighting the terrorists of the Islamic State, in accordance to that agreement. He added that those who collaborated with the terrorists, at the expense of the blood of the Peshmerga forces will never be welcomed by the Kurdistan Region again. That is especially true, the President stated about those who assaulted the Yezidi women in Shingal and other areas. The Kurdistan Region shall focus more on protecting its borders and prevent the terrorists to ever get close to the Kurdistan Region, the President stated. He expressed his heartfelt condolences to the families and loved ones of those who paid the ultimate price for the Kurdistan Region. Erbil, Kurdistan Region, Iraq (cabinet.gov.krd) – Kurdistan Region Prime Minister, Nechirvan Barzani, received the new Croatian ambassador to Iraq, Ivan Jurić and his accompanying delegation. Ambassador Jurić stressed his country’s desire to develop bilateral relations with the Kurdistan Region. He pointed out that Croatia is willing to cooperate with the Kurdistan Region in revitalization of economic activities, particularly by providing training in the sector of tourism. Prime Minister Barzani expressed his government’s appreciation for Croatia’s support to the Kurdistan Region in its war against the Islamic State terrorist group. He noted that it is also the Kurdistan Regional Government’s desire to develop strong relations with Croatia in all areas, especially in the tourism sector as forwarded by Ambassador Jurić. Prime Minister Barzani said his government is willing to hold talks with Croatian officials on developing cooperation policies between the two sides. The latest developments in the war against terrorism, particularly the current ongoing military operation to liberate the City of Mosul, were also discussed in the meeting. Erbil, Kurdistan Region (dfr.gov.krd) – Deputy Prime Minister of the Kurdistan Regional Government, Qubad Talabani briefed diplomats and United Nations officials on the steps the government is taking towards reforming the public sector. At a special briefing organized by the Department of Foreign Relations, Minister Falah Mustafa, Head of DFR, thanked diplomats for their attendance and expressed the appreciation of the KRG for the support and solidarity of their respective countries with the Kurdistan Region during this difficult time. Minister Mustafa also briefed diplomats on the latest humanitarian, political and military developments. Deputy Prime Minister Qubad Talabani then gave a detailed account of the urgent measures taken by the KRG to tackle the financial crisis as well as the KRG’s reform initiatives including the recent biometric registration system. He updated the diplomats on efforts to reform KRG Ministries of Electricity and Labor and Social Affairs, as well as modernization of Ministry of Finance and Economy. On behalf of the diplomatic corps, the Consul General of Palestine, Nazmi Hazouri, who serves as the dean of the diplomats, thanked the DFR for organizing the session and commended KRG on its reform initiatives. He also highlighted the sacrifices made by Peshmerga forces in the war on terror. During the meeting several diplomats exchanged thoughts on KRG’s reform agenda and expressed the readiness of their governments to fully support KRG throughout the reform process.